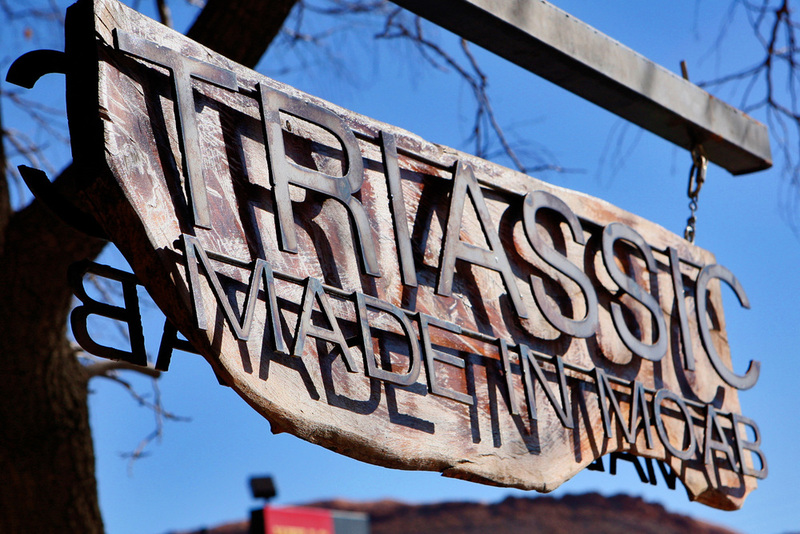 Triassic has brought attention to many businesses in town as well as the town of Moab itself. We take into consideration the style, materials, feel and uniqueness you are looking for in your design. The result is a one of a kind eye catcher sure to spark attention and business. 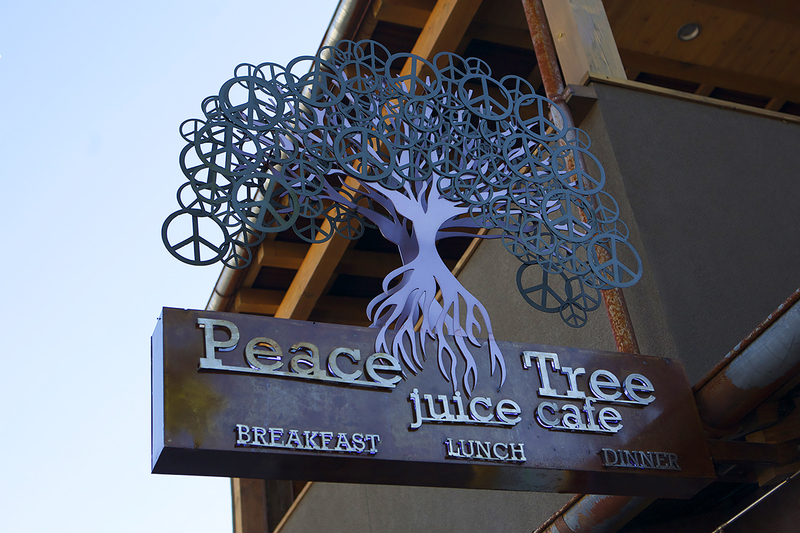 Customers won't have trouble finding the Peace Tree during the day or night. We painted the tree with incandescent auto paint to stand out in the sun, added a natural rust base to enclose back lighting LED's and lit it up with green, energy efficient led spot lights at night to ensure maximum visibility. 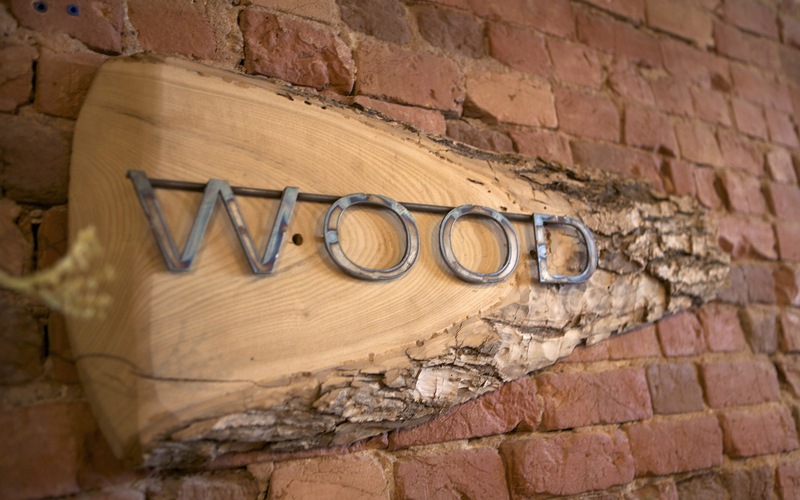 We created our signs using custom cut metal lettering combined with wood pieces from our saw mill. We call it "Organic Industrial" and we can customize them to say whatever you want.